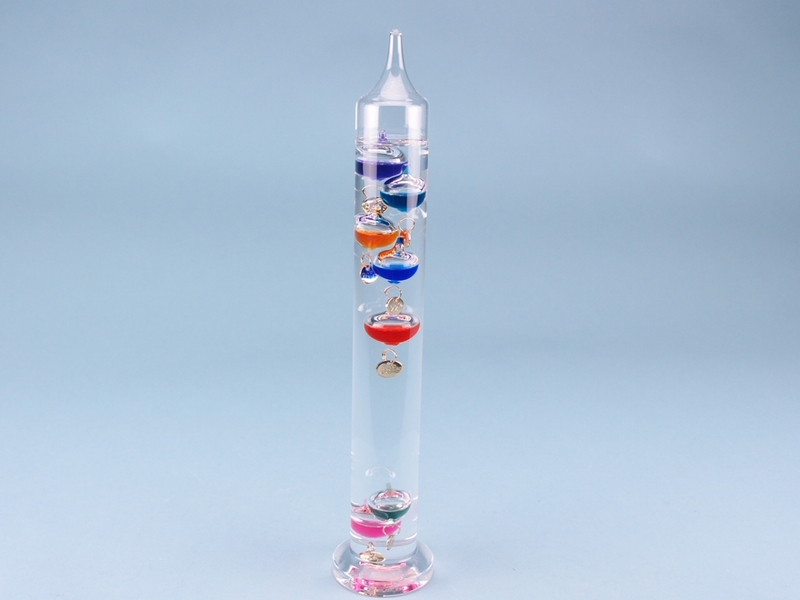 Glass thermometer working on the principal that liquids change density with temperature as discovered by Galileo in the 17th century. Temperatures indicated by solid brass plaques covering 16-28 degrees centigrade in 2-degree increments. Marked in both Fahrenheit and Centigrade. 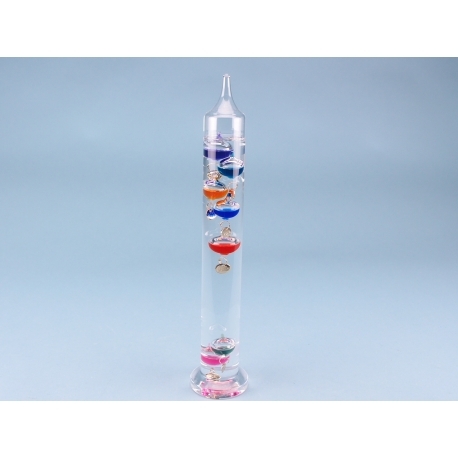 The glass base is wide and heavy for stability.